Lee J. Carter, (then) Democratic candidate for the Virginia House of Delegates, addressing the “Not My President’s Day” rally, Washington, DC, 20 February 2017. 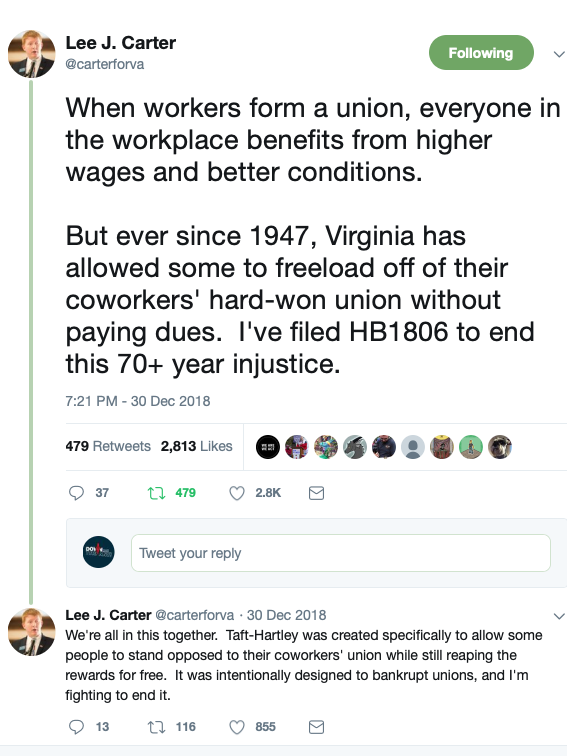 Two years ago Berniecrat and Democratic Socialist Lee Carter accomplished the impossible in Manassas (Virginia’s HD-50). 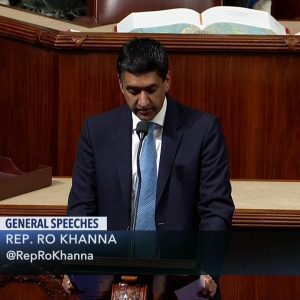 He ran and won– with more hostility than support from the Democratic establishment– against incumbent Jackson Miller, Republican majority whip of the House of Delegates. 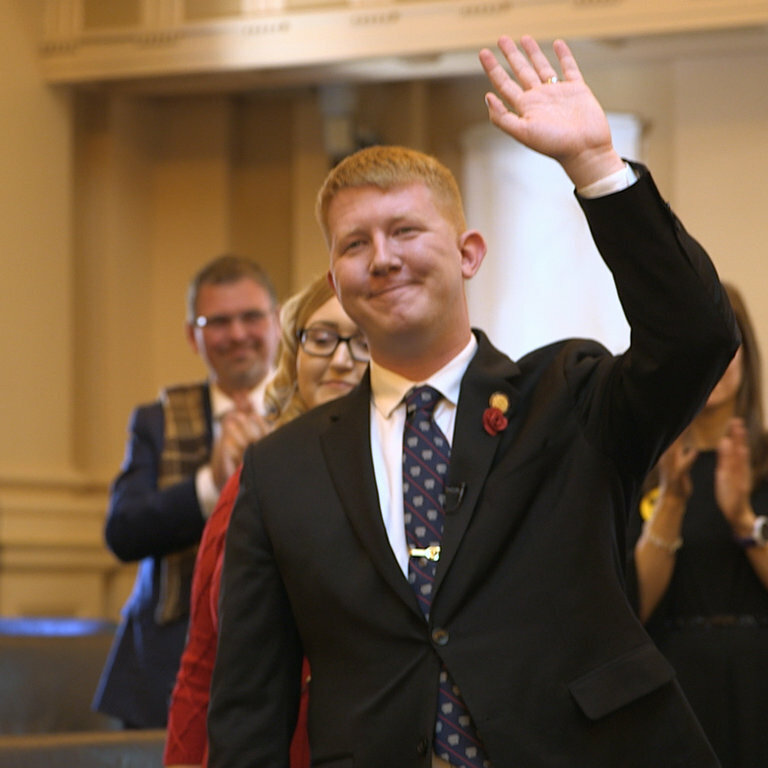 Carter, a former Marine, was targeted and derided by the GOP as a socialist– and voters flocked to the polls to vote for him. Last December he introduced House Bill 1806, which would overturn the state’s right-to-work law. It hasn’t passed… at least not yet. I assume you’ve been reading about the DCCC’s new diktat against primaries, right? The Virginia state equivalent of the DCCC is taking it to the next step– encouraging primaries against progressives. 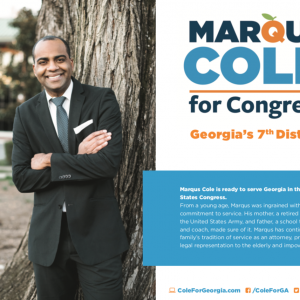 Their candidate against Carter this year is Mark Wolfe, a local Republican office-holder who says he’s a Democrat now. 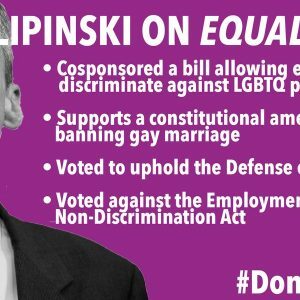 More proof that the Democratic establishment always prefers a Republican to a progressive. Leave aside the typical conservative bias against unions; the whole premise of the statement is completely false. Most of Carter’s legislative proposals have involved solving traffic problems in congested northeastern Virginia. 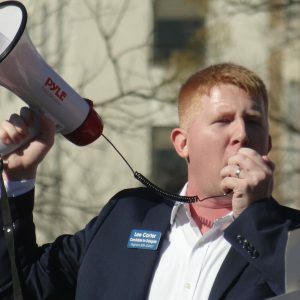 Blue America has endorsed Lee Carter (again; he was our candidate in 2017 as well) and if you’d like to contribute to his re-election campaign, you can do so here. Democrats are on the cusp of winning back control of the Virginia state legislature. 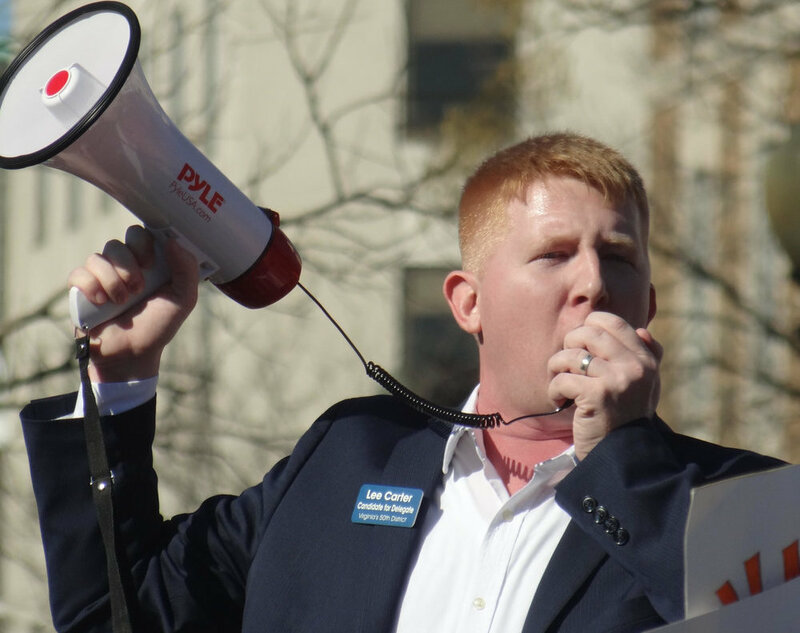 Supporting candidates like Lee Carter, Herb Jones and Qasim Rashid is what’s going to make all the difference– especially if you want to see a legislature with progressive values, not just garden variety Democratic careerists doing their thing. The primary is June 11.